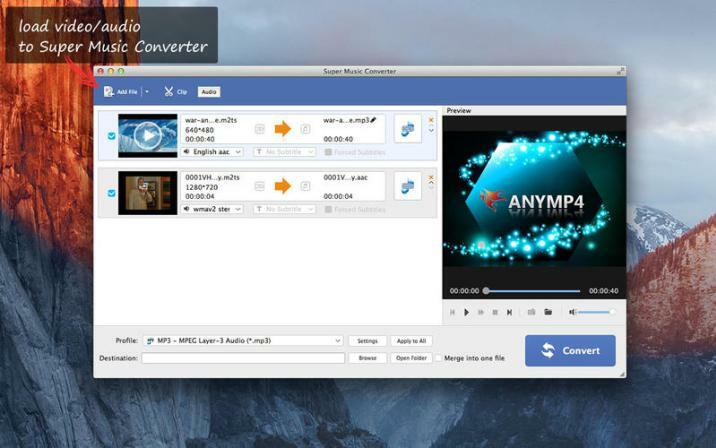 AnyMP4 Audio Converter for Mac is a Mac audio converter easy to use and can convert multiple music files WMA, FLAC, M4A, AIFF, AU, OGG, etc. other audio formats for Mac favorites. In addition, you can extract audio from video and convert audio to audio format desired Mac, so you can enjoy the beautiful music on their devices. With this program, you can also adjust the volume of audio before conversion, cut the length of the audio file and merge several audio files.